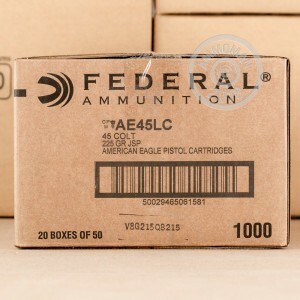 Federal has newly manufactured this hard to find ammunition for the 45 Long Colt! 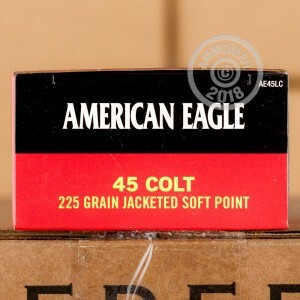 This American Eagle brand ammunition is perfect for working on your cowboy shooting accuracy and having a fun day at the range. Spend the day with your Henry repeating rifle, Colt handgun, or other 45 LC firearms, knocking down targets and putting holes in paper with these rounds. 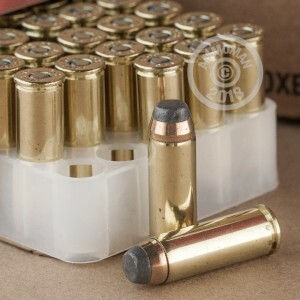 New production ammunition with non-corrosive, boxer-primed, reloadable brass cases.